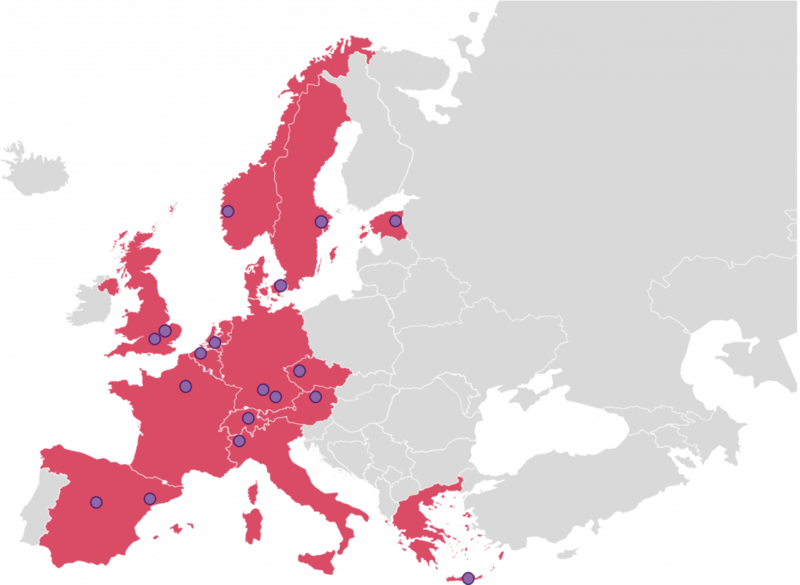 EPIC-XS supports all European member states and associated countries as well as International laboratories (in a more limited capacity), to perform proteomics research across a trans-national platform. Please be aware that the access site selected cannot be in located in the same country as the applying scientist. Association to Horizon 2020 is governed by Article 7 of the Horizon 2020 Regulation. Legal entities from Associated Countries can participate under the same conditions as legal entities from the Member States. Association to Horizon 2020 takes place through the conclusion of an International Agreement. *The United Kingdom was an EU member state upon signing of the agreement.